Is your school planning student educational tours to Washington DC? Why not let Zohery Tours takes the burden of selecting a bus tour company? We have 30 years of experience in organizing tours in the nation’s capital for individuals, groups and youth travel to an unparalleled satisfaction. If you let us know the date and time of your planned visit, the duration and the places of interest that you want to visit, we will strive to make your experience as smooth and comfortable as possible, as well as educational. 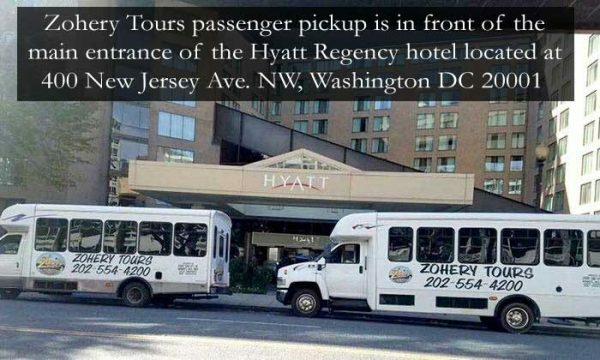 Zohery Tours has been helping teachers take their students on customized, personalized educational and performance tours across the Washington DC area. As soon as you arrive in Washington DC, we will have our drivers ready to shuttle you from the airport or train station to your hotel. During the length of your stay, Zohery Tours will be your on-call transportation service. Wherever you want to go, and whatever landmarks you want to visit, we provide customized service, with trips tailored to the classroom curriculum. From exploring the history of Washington, D.C., to getting interactive, hands-on, and experiential learning activities, Washington D.C offers students the opportunity to learn about American government and history in the nation’s capital. They get a chance to visit sites such as the Washington Monument, the White House and the Holocaust Museum and many more. Traveling with us will ensure that you travel in safe and comfortable buses, all while having tons of fun. Student safety is our number one priority. This is the reason why Zohery Tours is a trusted name in student travel. Share the amazing experiences of educational travel with your friends and colleagues — earn a special # 19 grand tour of Washington for one worth of $25.00 just as a thank you. As an added bonus, earn an additional special # 19 grand tour of Washington for up to 4 people if the group of 20 you refer travels with us. For more information or to make a reservation call us today at 202-554-4200 or send us a message on our contact form.